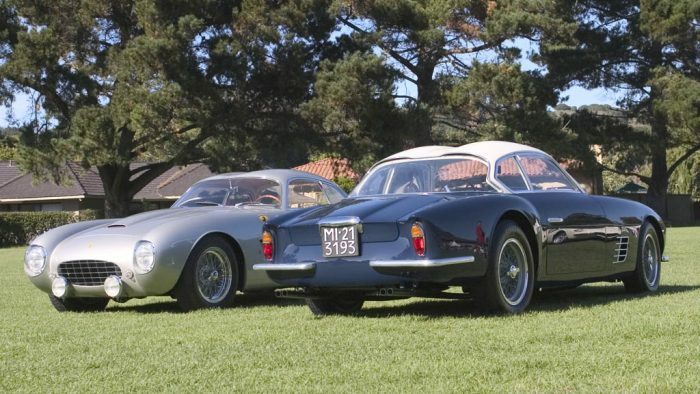 Ferrari and Zagato’s relationship formed one of the most desirable ‘marriages’ in car design, the 250GT Zagato (GTZ). It was their most successful collaboration and only a few were ever made for requesting clients. 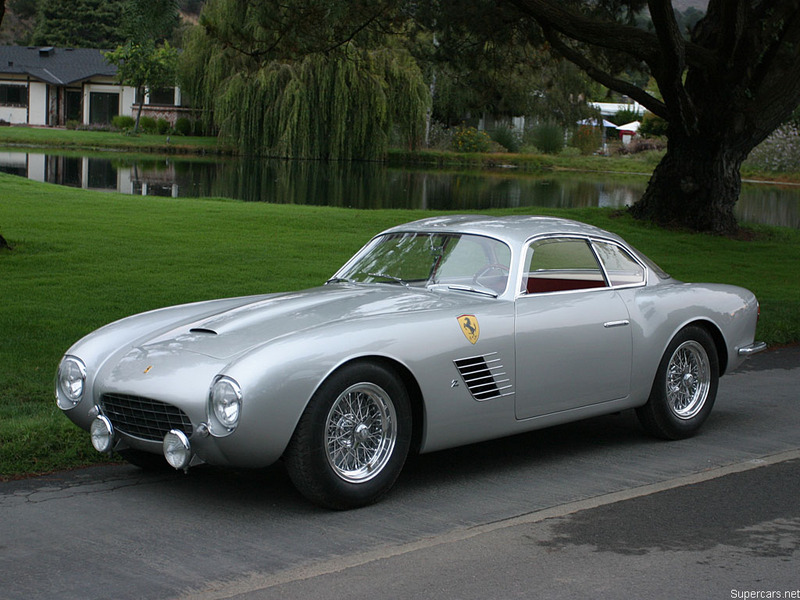 As the ultimate combination, the GTZ allied the already proven Ferrari 250 Tour de France chassis with Zagato’s curvaceous low drag body. It practically guaranteed success. 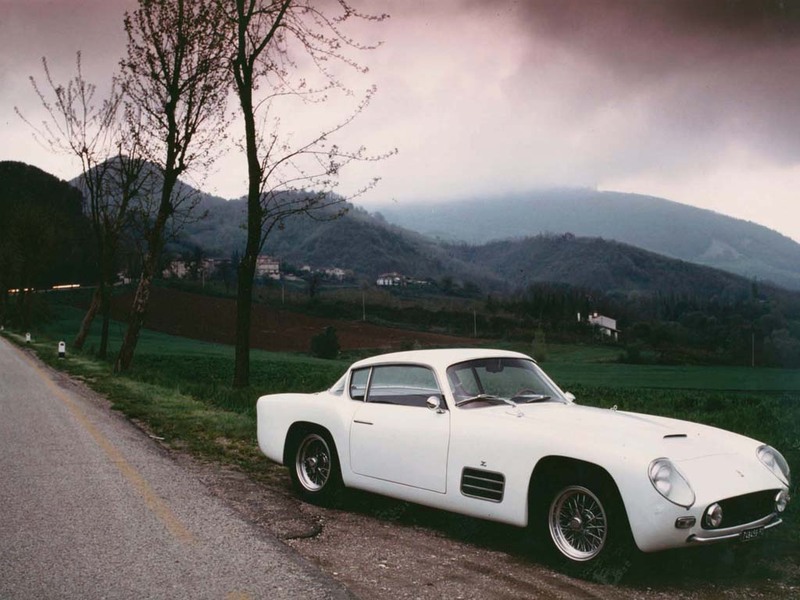 The first GTZ, chassis 0515GT, was completed in 1956 and set the basic shape for four more coupes. 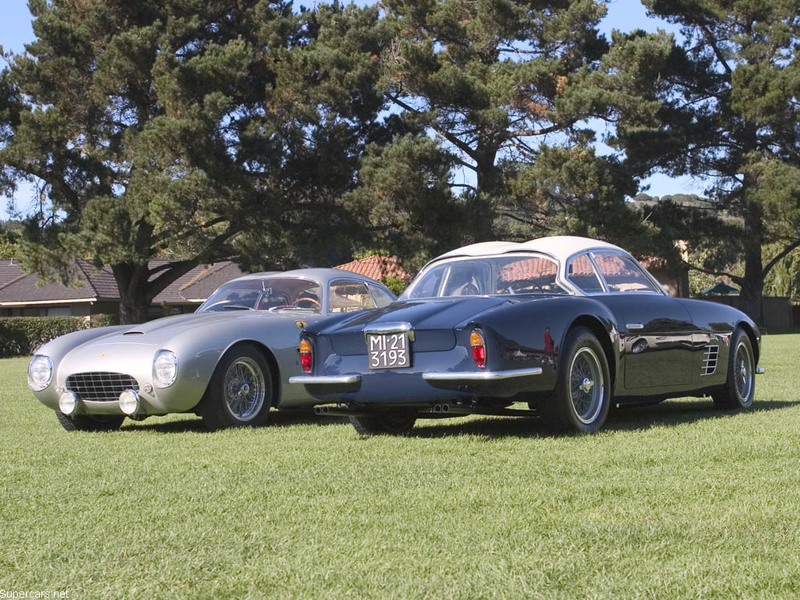 Each was intended for competition, and some even had stylish details that put them at the forefront of the Concours scene. As Uwe Zagato and his sons were open to suggestions from their clients, the GTZs varied in subtle details, and a few were made as lightweight as Zagato could go. 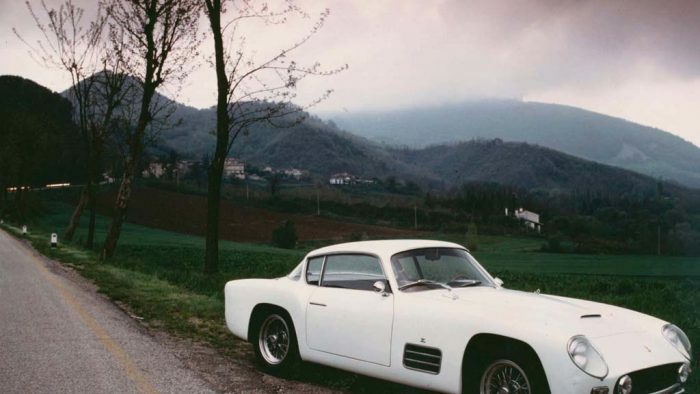 Fighter pilot Camillo Luglio won two Italian champions in two different examples, and placed second in class at the somewhat tamed-down 1958 Mille Miglia. During this remarkable placement he held pace with Ferrari’s factory team and was later offered a position by Enzo to drive in Formula One which he turned down. Throughout Ferrari’s colorful and successful history, only ten customer-bought Ferraris were bodied by Zagato up to 1973, making these cars one of the hardest to see in person. Despite what is published, all of the GTZs remain intact and each is the highlight of the collection they belong to. 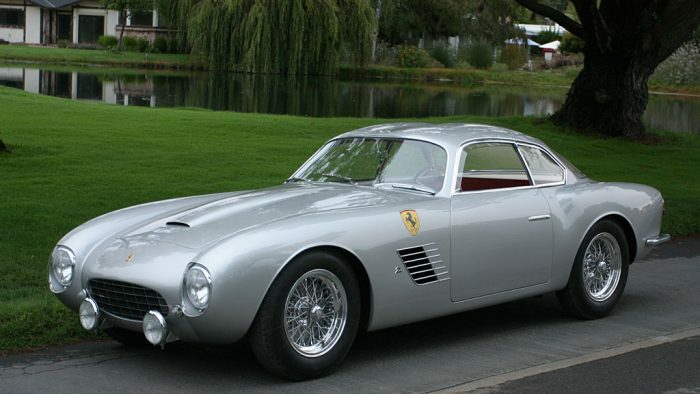 0515GT ‘the Berlinetta’ – At a price of 3 900 000 lire, successful racer Vladimro Galluzzi saw that the 250 Zagato had to built and he commissioned the first one. His car was built not only for racing, but for concours as well. Thus, style was a major consideration and attention to every detail was high. After being raced moderately , 0515GT was shipped and restored meticulously in the US. 0537GT ‘The Coupe Corsa’ – Finished almost in the same week as 0515, 0537 was built for Camillo Luglio, a veteran fighter pilot with a keen racing sense. 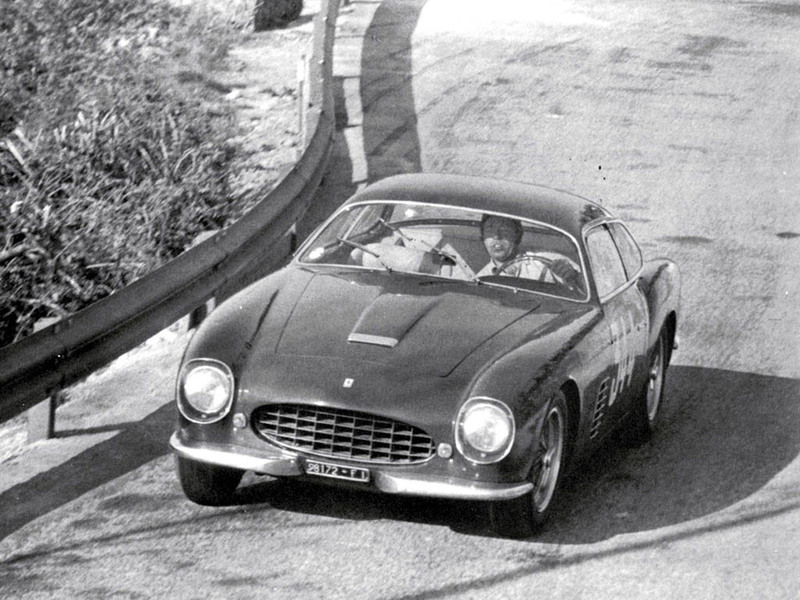 His car was lighter than the first, which helped him outclass the competition and become Italian Champion in 1956. 0537 currently resides in California. 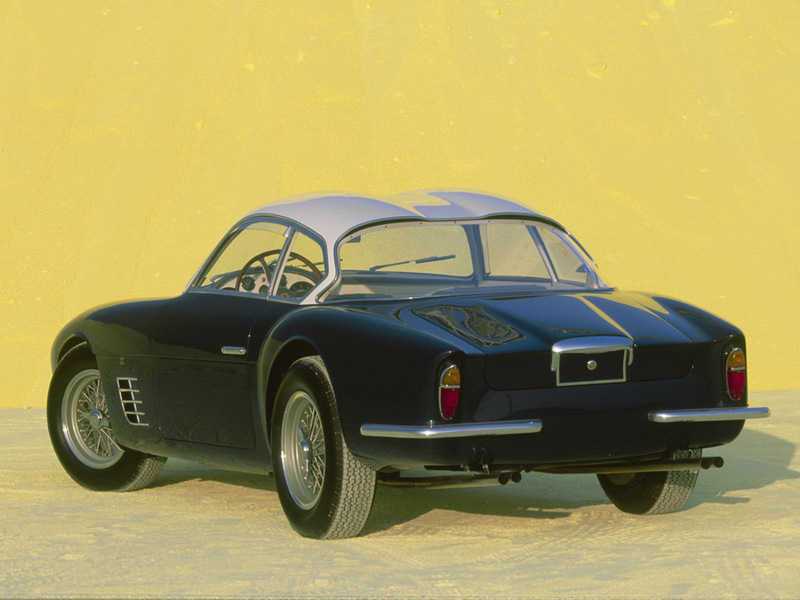 0665GT ‘the Competizione’ – After winning the 1956 Championship, Camillo Luglio sold 0515 and ordered another, more refined Zagato 250 for 1957. He requested many changes, which Zagato happily executed, including covered headlights, lightweight materials, a more compact front end with smaller air intake and many other adjustments. 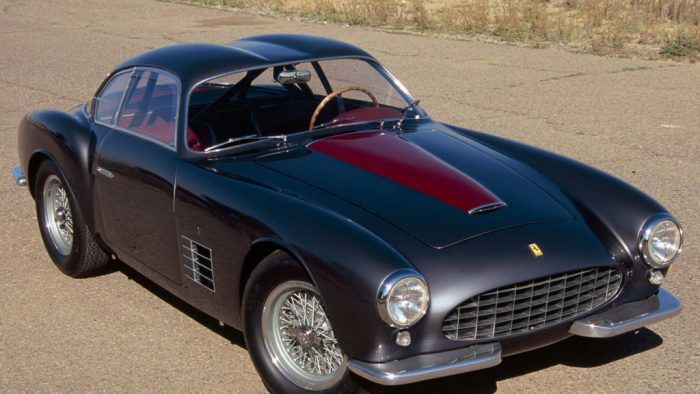 In doing so, he created the most successful of the five cars by winning the championship again and taking 2nd in class at the Mille Miglia at an average speed of 140mph. At the Mille, the car was painted black and sponsored by the Idriz paint company; surely one of the first sponsorships ever. 0665GT very recently went though an extensive restoration and debuted at the 2004 Pebble Beach Concours. 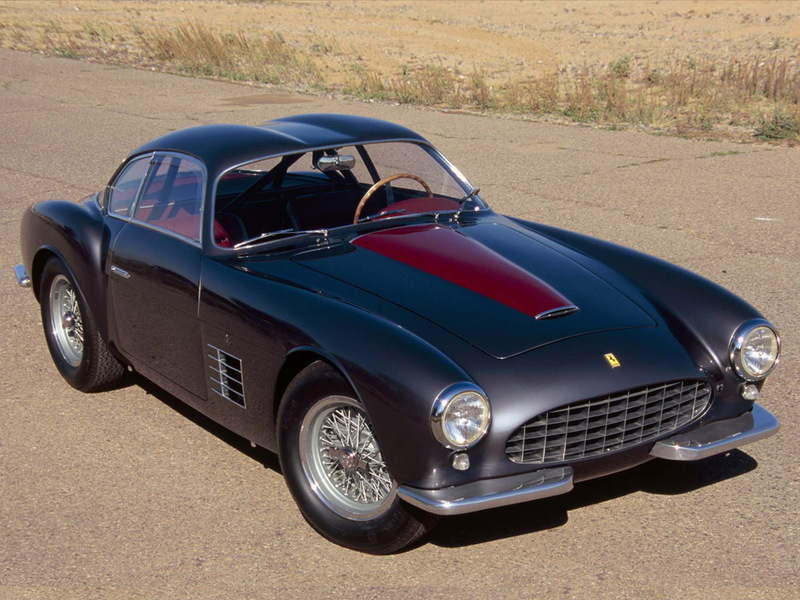 0689GT ‘the Lusso’- This car was modeled after 0665GT, but doesn’t include Zagato’s double-bubble roof. 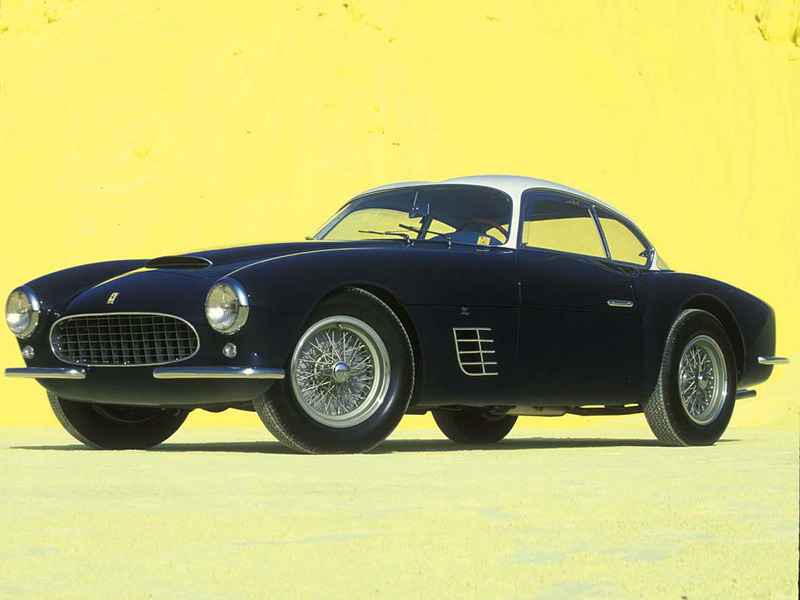 It also had a lavish interior, and a more easy going engine which is why it is sometimes referred to as the Lusso version. 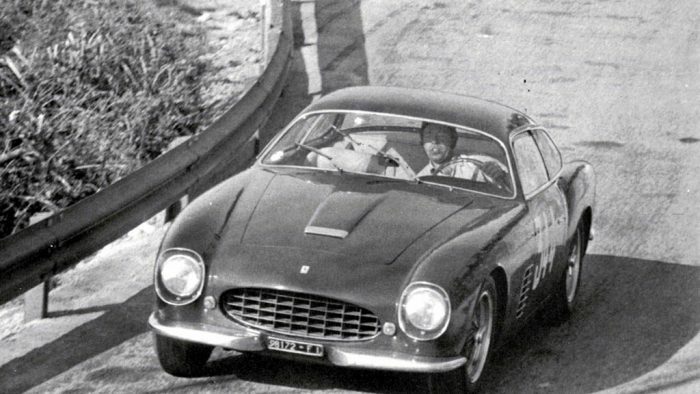 Despite its demeanor, the Lusso was still very much a capable, and its owner, Vittorio De Milcheli, drove it in a number of competitions. It suffered a collision, and since sports different looking front end. Expecting a restoration soon. 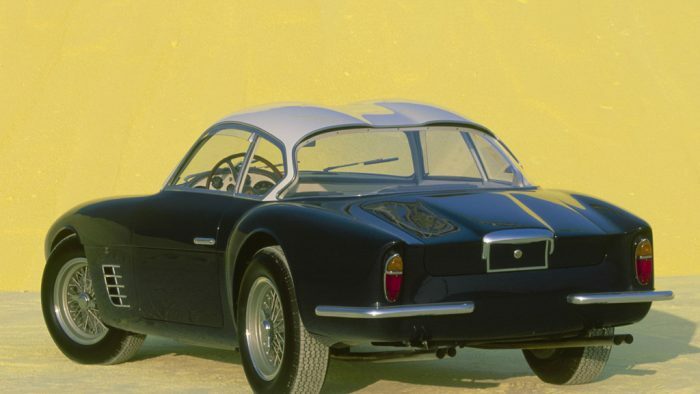 1367GT ‘the Prototype’ – Vladimro Galluzzi commissioned this very different Zagato which lacked the double-bubble roof and gained two prominent rear fins. 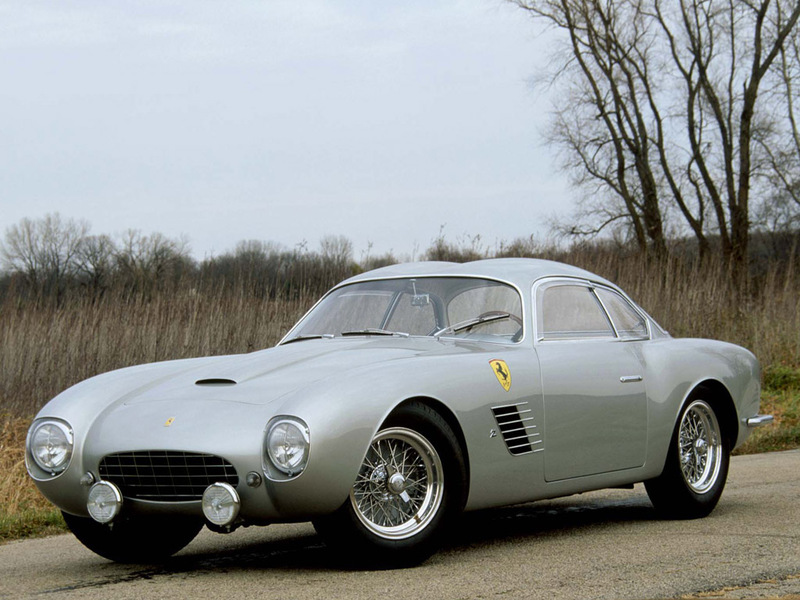 Almost as soon as it was delivered, Vladimro replaced 1367GT with a disc-brake Scaglietti car. It did have a large fuel filler, which hints at the cars initial purpose, but it was sold to a non-sporting owner which never raced the car. Marchiano, Michele. Ferrari by Zagato, Giorgio Nada: 1988. Massini, Marcel. 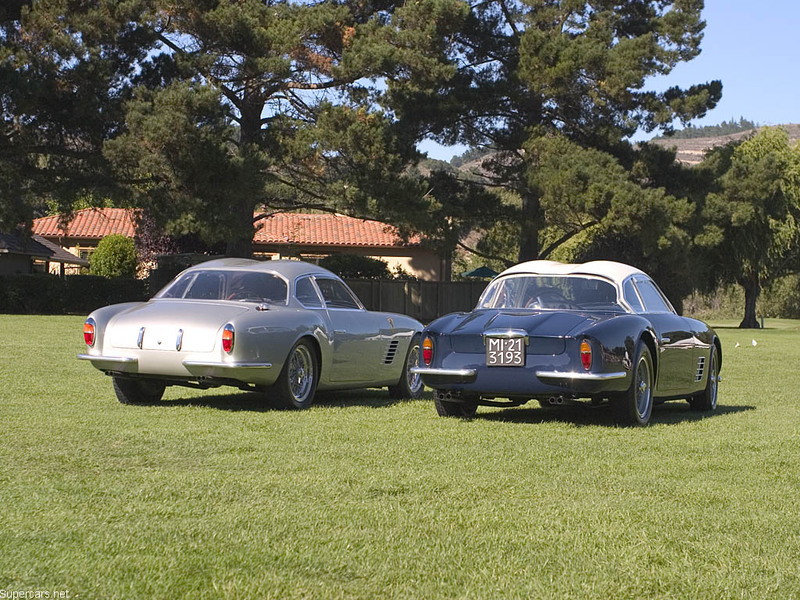 ‘The Zagato Ferraris’. Cavallino 38, April/May 1987.